With Mag+, you have control over how your issues can be navigated, so you can easily create content apps that feel nothing like magazines. Here's a post with some examples of Mag+ apps that have used this feature. You can choose the navigation for your issue using Navigation drop-down menu in the Production Tool. The choice you make here will only apply to the current issue. Default: Users can navigate an issue and go to new verticals by swiping left and right. Tapping the screen will bring up the app menu (Store, Library, etc) as well as the thumbnail scrubber. The way Mag+ apps have always worked. 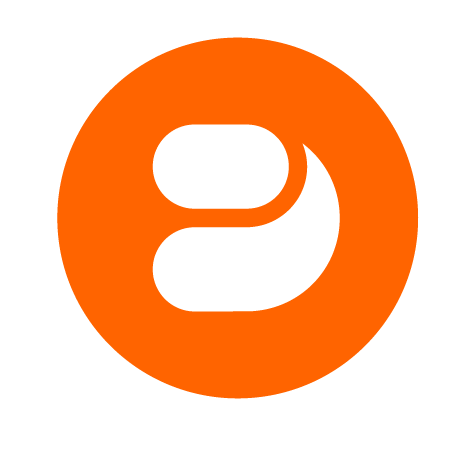 Hide Scrubber: Users can still navigate by swiping left and right, but a tap on the screen will only reveal the app menu; there will be no thumbnail scrubber. 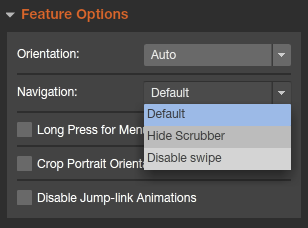 Jump Links Only: This option disables both the thumbnail scrubber as well as the ability to swipe left and right to get to new verticals. The only way your users will be able to navigate to new verticals is by using jump links that you create on each vertical. If you choose this option, be sure every vertical has a jump link on it or your user will be stuck. Tapping the screen will still bring up the app menu. This option is useful if you want to make a content-focused app that does not have the feel or look of a traditional issue. Combine it with the Single Issue app option, in which the issue is embedded in the app so there is no Store or Library, to make a unique content app.